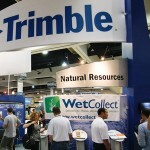 Purchasing a trade show exhibit is an investment in your company’s branding efforts and its very future. When events are worked to their greatest advantage, your company can gain new customers while making positive strides in retaining the old ones. While the exhibit itself is only a tool for helping your company gain recognition, it can be a powerful one if it’s strategically designed to capture the attention of convention and event goers. This is where modular trade show exhibits can offer a great deal more mileage than other display options. Modular trade show exhibits are designed to more readily scale to meet the specific space requirements of a particular event. That means if you attend one show where floor space is limited a small modular setup can be crafted to suit the need. Should your very next show deliver more space to work with modular pieces can be added. This enables you to maximize the exhibit you already have without forcing you to reinvent the wheel. At Mobius Exhibits, it’s our business to make yours look great. Our modular trade show exhibits are perfect for displays of all sizes, enabling you to easily add on if necessary. Whether you’re looking to rent the backdrop for you next convention or you are ready to make an outright purchase of materials you can keep using for years to come, our experts are here to assist. Just give us a call today to find out how modular displays can help you meet your trade show goals.